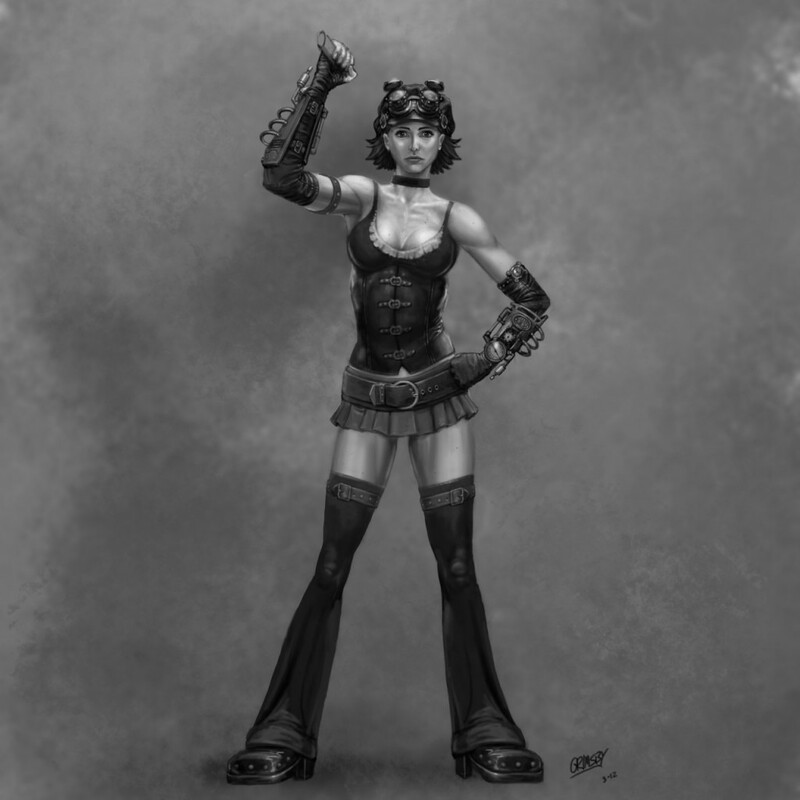 A 95% complete concept of a steampunk girl has been added to the portfolio. It was a fun drawing to work on because of the costume and, to be honest, drawing a woman is a nice break from the usual heroic beefcake I draw. This was designed for my GAME 231 students to use as a concept for their final project. I have a 3 view as well, but I like the posed “beauty shot” more so I opted it for it here. There are some things I would add to her design, but she is challenging enough already to model.